You have a great business idea and all that’s needed to get started…except the web part. Be it a website, application or any other kind of software – even having a good team of programmers or outsourcing a project to a professional web developer does not guarantee fast delivery of your project. What to do if you don’t have a lot of funds to invest in a website? Odesk or Freelancer may be the option then; however, that requires technical knowledge to manage the project and to evaluate time and cost. Even if you have the necessary expertise, managing Indian or Filipino programmers is a cross-cultural challenge. 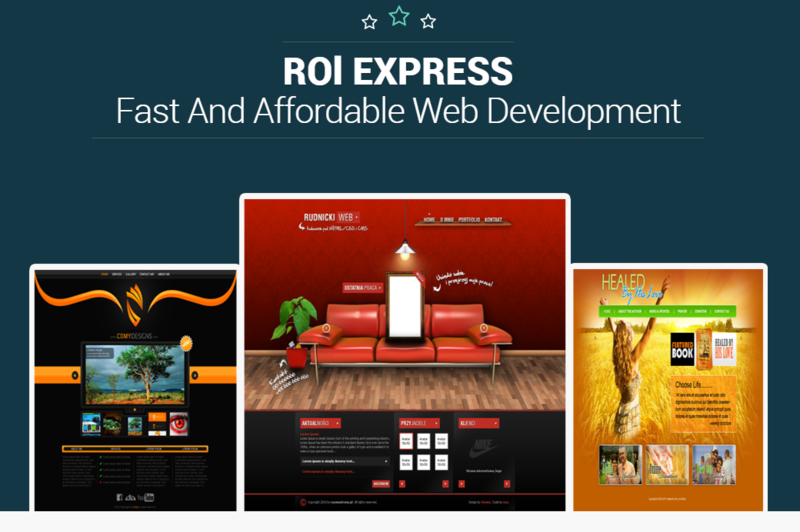 We have interviewed a new dynamic agency, ROI Express, that has revolutionized web development for entrepreneurs. 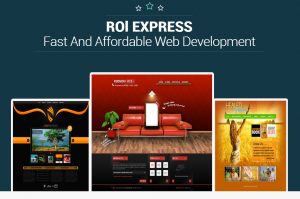 They offer to develop any kind of website within less than a month and for a fixed amount of $500. We invited the founder of ROI Express ( roiexpress.com) Andy Taylor, to share the details of the deal they offer to businesses and individuals. INT: Andy, tell us about your current business. What are you doing exactly? AT: It is as simple as this: we create websites for individuals for a fixed budget of $500. INT: So you say you can develop ANYTHING for a flat amount of only $500? What if I say I want FB? AT: No problem! As long as the client does not expect it to be a custom development and we can use open source. I believe that in this fast-changing world when technology is growing and evolving every single day, an entrepreneur cannot afford to spend months on development. Either your idea or your moment will be gone. I think of it this way – the moment when you had your idea, another dozen people had exactly the same idea. AT: My partner and I started a digital agency back in 2009. Even at that time, that was a very competitive niche, but over the years it became even worse. Thousands of conceptual digital agencies arrived on the horizon. Many of our potential clients started gathering quotes and constantly claiming that somebody offered a better deal or had a better presentation. By that time we had thousands of websites and apps developed, so we never tried to buy our clients with presentations rather than portfolios and excellent feedback. However, in a world where hipsters rather than IT experts are running tech companies, we have started to lose clients because others were showing beautiful demos. We rethought our strategy with one particular client and offered him to finish the project on a budget but on our conditions… We decided to run an experiment and build a $30,000 project for $500 – just to demonstrate that we have an effective way of building things, when we don’t spend our time on sales, presentations, reporting, etc. Of course that project was a loss, but we killed the competition and realized that working with smaller clients will save us from long and difficult “arrangements” and we will be able to build working websites for a greater number of businesses without dealing with corporate sales. INT: I still don’t understand: how can you run a profitable business like that? AT: We stopped running marketing campaigns. We spend zero money on advertising, and have no time for presentations. There are no customer acquisition costs. We mostly serve people in L.A. who hear about us from their friends and colleagues – people they confide in. The customer comes in, we sign an agreement and deliver a product within 2 – ­3 weeks. We have most of the templates and algorithms already in place. Believe me, the model of our new redesigned business is very profitable! INT: Is there a limit to the number of projects you can accept per month? AT: No. We can scale our operations easily. INT: What do people need to have in order to work with you? AT: Functional specs, 2-3 weeks of time, and $500. INT: Have you stopped working on large projects? AT: Sometimes we work with medium-sized and large businesses – but only if they come to us after evaluating all other offers, and are ready to start the project without any B.S. Ha ha! INT: What advice would you give to readers who want to start a business? AT: No matter how great and original your idea is, start its execution immediately! Each time a new entrepreneur asks to sign an NDA, it makes me smile because most of the time, his idea is not original. We almost certainly worked on it before. So don’t think you and your idea are the only ones like that. Go and make it work as soon as you can!